Select a custom domain that feels like an extension of your existing website. 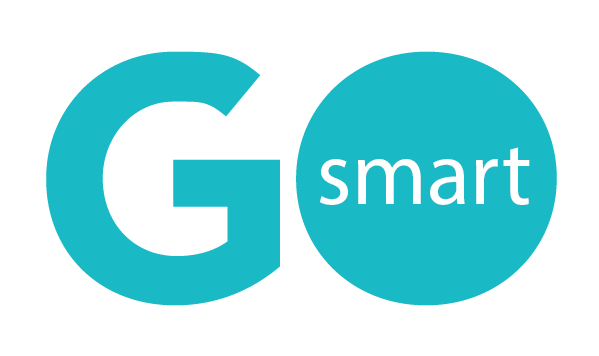 Add text that will direct your applicants how to use your GO Smart grant portal. Include imagery and links to make the page easy and interesting to navigate. Quickly change the order of your resource pages to feature the information that is most relevant to applicants right now. Add as many resource pages as you need. 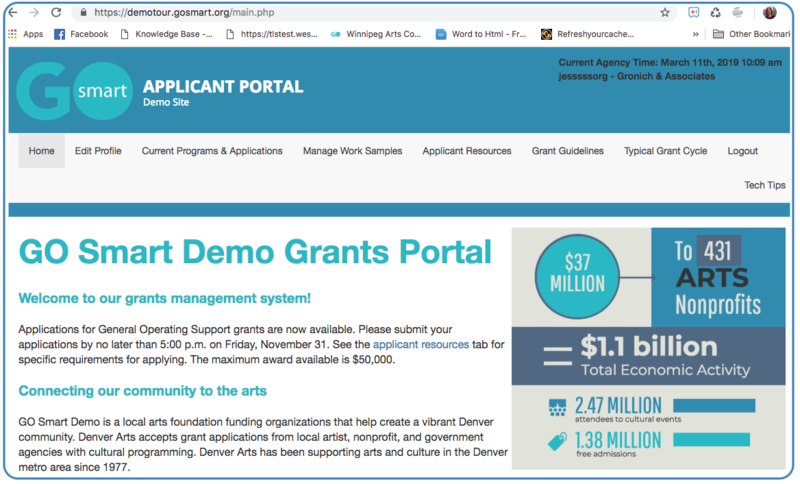 Easily move applicants through your grant application process by assigning application statuses. Quickly change applicants’ statuses on the fly. View submission dates and times at a glance. 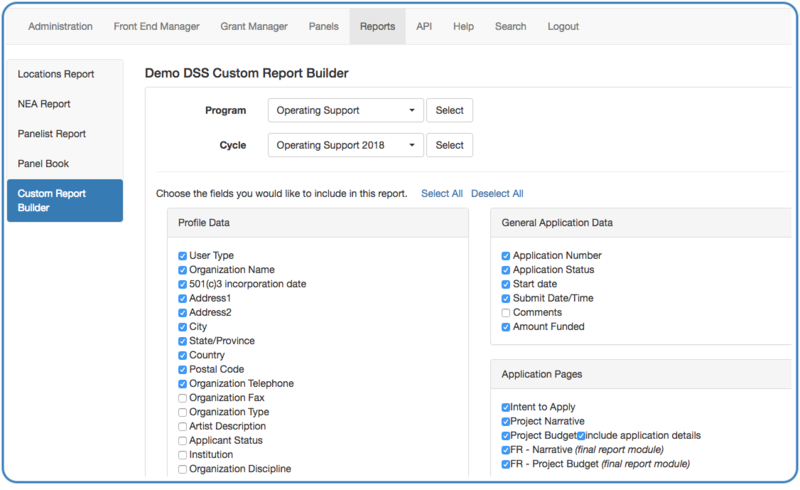 Add custom questions to your application that will appear on your applicants’ grant dashboards. Click Details to log in as an applicant–avaluable feature for assisting applicants. Your panelists can select from the panel(s) to which they have been assigned. Include your own custom instructions. The system will generate the list of applications that you have assigned to this panel. Panelists will view the list and can sort by any header. They will also see applicants who have yet to be scored. Panelists will see your custom category sort select responses so that they can also sort by those items. Budget and Discipline are examples of these responses. Allow panelists to generate their own panel books so that they can view all of the applications in a master PDF for offline viewing. Select the program and cycle for which you would like to create a custom report. Select any or all of the profile data associated with the applications. 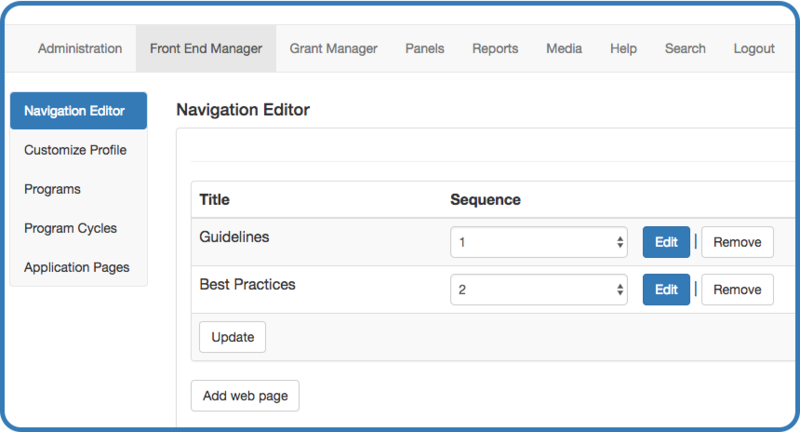 Select any or all of the system generated data such as application number or comments made on the grant admin dashboard. Select any or all of the pages of your cycle to include responses for any questions you have created.